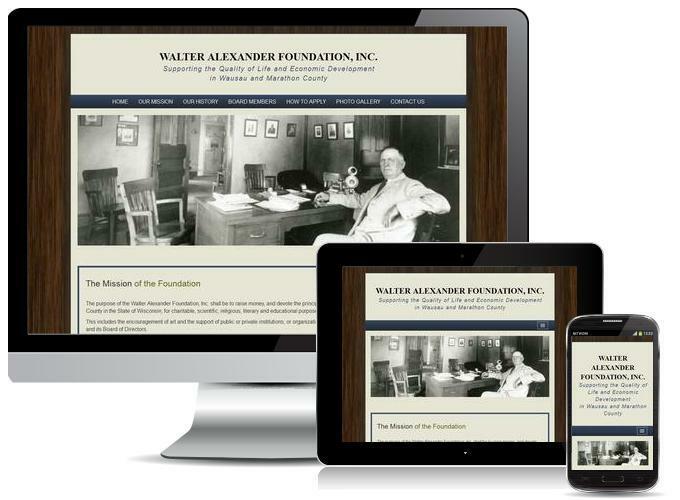 Virtual Vision worked with Alex Reichl to create the very first website for the Walter Alexander Foundation, Inc. located right in heart of downtown Wausau. The new website is responsive meaning it responds to any size screen, tablet or phone for optimum user experience. To learn more about what the Walter Alexander Foundation, Inc. provides or to view the website, click here.